It's been a big summer here at WILD ABOUT HARRY. 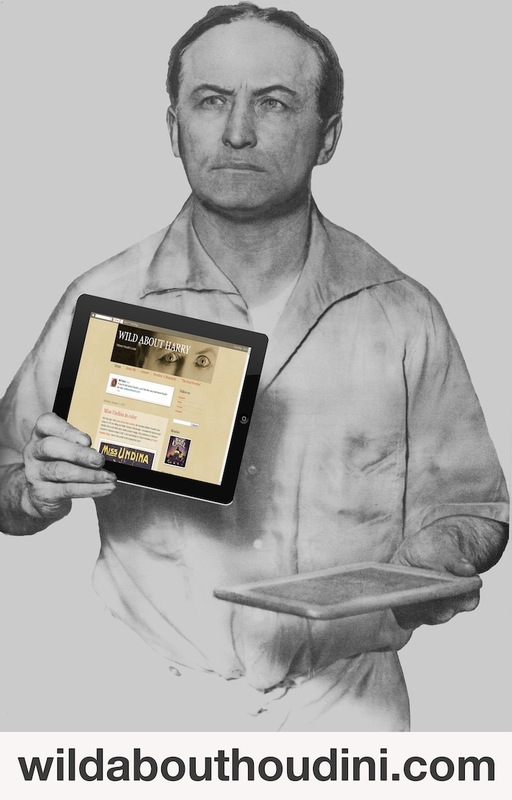 We've enjoyed a local Houdini play, discovered a lost Houdini scrapbook, and crossed over 1 million pageviews. So I've decided to end the summer with what I think is the most incredible thing I've ever posted on this blog. Truth be told, I've been sitting on this for months. I've not posted it because to do it justice I needed to master some new technology. I haven't entirely mastered the technology so my presentation might not be all that it could be -- but the content will blow you away! It will take three days to roll this out in the right way, so I've chosen to do so over the upcoming 3-day Labor Day weekend when you can sit back and soak in what I have to share. Trust me, it's WILD! Saturday, August 31: "She thought he was the devil." Sunday, September 1: "In a few minutes he was out of the box swimming. Monday, September 2: "She looks like Whistler's Mother!" Tuesday, September 3: BONUS CLIP!